Check off what you'd like from the book-length menu or wait for the army of carts to roll by at this 20-year old mainstay with enough seating for 400. 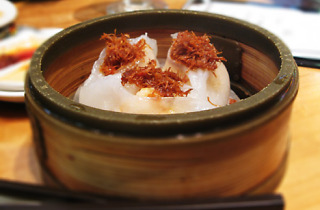 You could go to Hakkasan for an upscale, modernized dim sum experience (it's lovely, no joke), but if you want the real deal, head south to this 20-year-old mainstay. The sprawling space includes a koi pond, live seafood tanks, high ceilings adorned with decorative glass and enough seating for 400. Check off what you'd like from the book-length menu or wait for the army of carts to roll by. 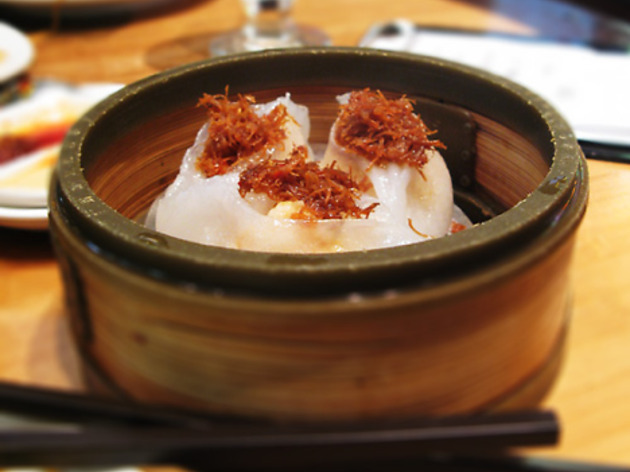 House specialties include the har gow (shrimp dumplings), xiao long bao and chicken feet. Be forewarned: arrive early or resign yourself to a wait, which can surpass an hour on the weekends.